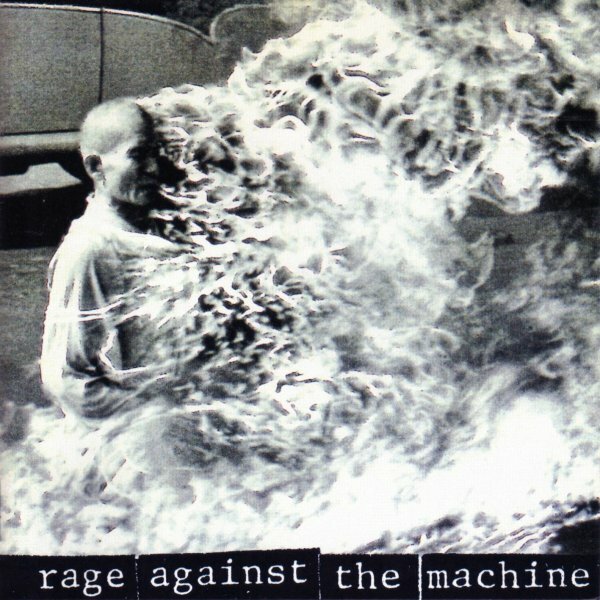 Rage Against The Machine’s self titled debut album cover features a photo of Thích Quảng Đức, a Vietnamese Buddhist monk, burning himself to death in Saigon in 1963. The photo was taken by Associated Press correspondent Malcolm Browne and earned the award of World Press Photo of the Year in 1963. 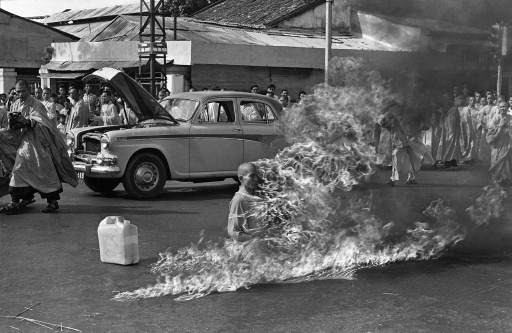 The monk was protesting President Ngô Đình Diệm’s administration for oppressing the Buddhist religion. The photograph drew international attention and persuaded U.S. President John F. Kennedy to withdraw support of the Ngô Đình Diệm’s government. 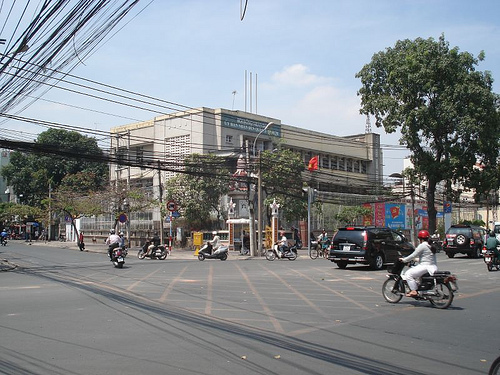 Click here to read about the amazing story of Thích Quảng Đức.